Food is at the heart of Creative about Cuisine. Food, drink, growers, producers, restaurants, chefs, hotels, manufacturers – each make up part of the phenomenal hospitality industry. 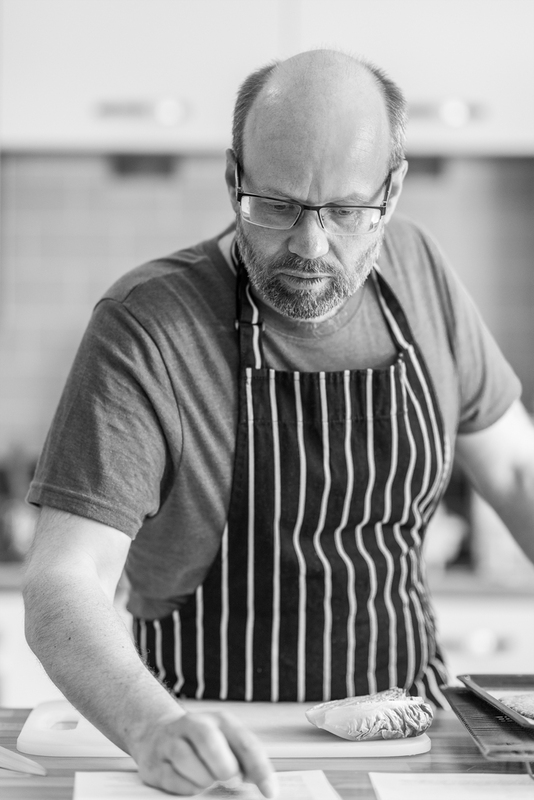 MD of Creative about Cuisine, Russell Brown has worked in the industry for over 20 years, both in the thick of the restaurant business where he held a Michelin star for five years and now as an established food writer, food photographer and consultant. Russells first book, Well Seasoned written with co-author Jon Haley was published in March 2018. It features 72 recipes and over a 100 of Russells images and takes the reader on seasonal journey through the year. Russell provides written content and images for digital media and a range of local and national publications, including The Caterer magazine. Published subject matter includes seasonal produce articles, ingredient masterclasses, food and travel pieces, recipes, book reviews and chef profiles. They say ‘you can take the chef out of the kitchen but not the kitchen out of the chef’ and you’ll often find Russell cooking as a guest chef or demonstrating at food festivals, catering colleges, private masterclasses, kitchen showroom openings, etc. So, whether it’s new photography for your website, content for an in-house magazine or newsletter, an article to be written, product photography, recipe development, cookery demonstrations or consultancy that you need, do get in touch for an informal chat. ©2016 Creative About Cuisine. All rights reserved.